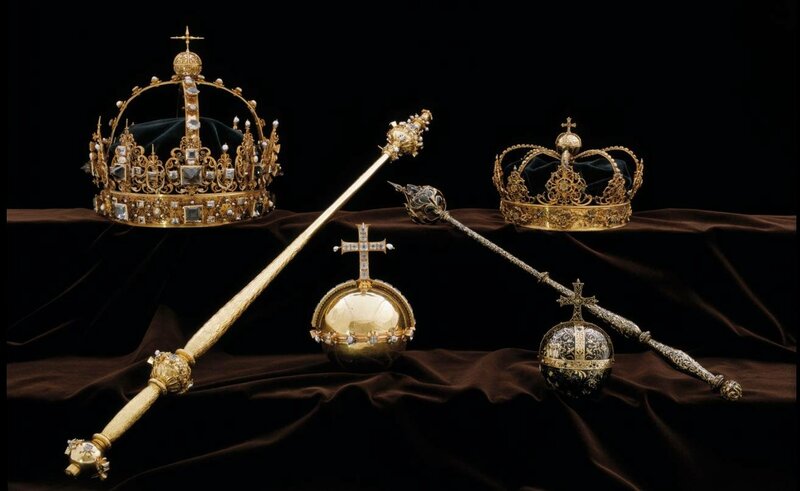 Three priceless pieces of Swedish royal funerary regalia stolen from Strängnäs Cathedral last year have been found on top of a garbage can in Åkersberga, 20 miles outside of Stockholm. A security guard discovered the loot at 1:00 AM yesterday and alerted the police. Experts are currently confirming that all of the stolen objects are present and assessing their condition. The purloined regalia were a gold crown and an orb made for the funeral of King Karl IX in 1611, and a bejeweled crown made for his Queen Consort Kristina’s funeral in 1625. 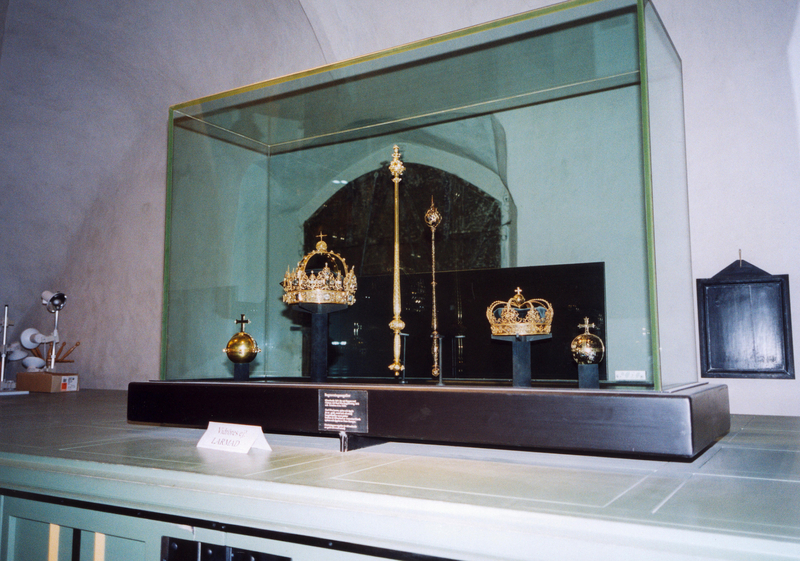 Karl’s crown and orb were buried with him but later exhumed and exhibited in a locked and alarmed display case. The objects were stolen on July 31st, 2018, in a daring lunchtime heist by two men who smashed the glass display case and ran. With the security alarm blaring and the authorities rapidly descending upon the cathedral, the thieves rode women’s bicycles to the shore of Lake Malaren and fled in a getaway boat, a small white or blue motorboat had moored just below the cathedral. It’s possible they may have also used jet skis to flee further. Witnesses described one man as being about 5’11” of slim build wearing a light beige jacket and dark pants. The other was slightly shorter and more muscular in build wearing a dark jacket and with either a dark head covering or dark hair. They were seen heading east, but there are hundreds of little islands in Malaren, Sweden’s third largest freshwater lake, and therefore plenty of hiding places. The crowns and orb are priceless objects of cultural patrimony. The gold, silver, pearls and gemstones are technically worth around $7 million, but there is no amount of money that can replace them even though they are insured. Nobody in their right mind would buy such hot goods anyway, as the thieves doubtless discovered. Investigations are ongoing. They have focused on a criminal group centered in Stockholm. One 22-year-old man was arrested last September after his blood was found at the crime scene and on one of the bicycles. The man, whose identity has not been revealed, claims he is innocent of the theft of the jewels, that he just had the incredibly bad luck to steal the bike and motorboat used in the heist. His trial was underway when the pieces were found. It has been temporarily put on hold and will resume on February 15th. Meanwhile, police are still looking to bring accomplices and other involved parties to justice.